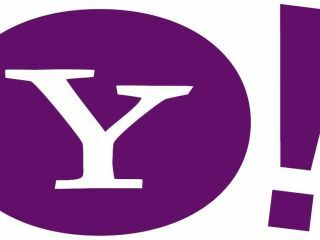 Yahoo has unveiled the latest iterations of its popular toolbar and webmail programme in the United States, with the addition of third-party applications the most notable change. The beleaguered company has been pushing through its new products, with social networking and more support for third-party software paramount on its list. The new toolbar brings mail notifications and access, as well as support for other applications, and the mailbox will be able to incorporate apps from the likes of WordPress and Xoopit. "Yahoo reaches one of the largest and most-engaged consumer audiences on the Web, said Ash Patel, executive vice president, Yahoo Audience Product Division on the Yahoo blog. "We enable more choice for our users and infuse social functionality across the Yahoo network, we are delivering on our promise to create the best place for people to start online – and return to again and again – to get everything that is most relevant to them. "By opening up to third-party innovation on Yahoo, we are also providing new opportunities for publishers, developers and ultimately advertisers to reach and connect with more than half of the world's online population." Microsoft's recent changes to Live also incorporated social networking aspects such as a friend feed and support for third party applications – and it remains to be seen if either of the internet giants can keep their audiences over the coming years. The products will be rolled out slowly through 2009.